The U.S. Post Master General was in Montana Thursday to hear concerns over the potential closure of about 85 small rural Post Offices in the state. Mail processing centers in several Montana cities are also on the chopping block. The closures are part of a nationwide effort to cut costs for the Postal Service. Post Master Patrick Donahoe expects his institution to lose $14 Billion this year as the nation depends more and more on the Internet. People from some of Montana’s most isolated places are speaking out against the closures–saying their way of life still depends on their local Post Office. A warm morning breeze whips an American Flag in Wolf Creek, about 40 miles North of Helena. It’s a tiny little town. I-15 cuts straight through the middle of it and the sound of cars zipping right by Wolf Creek is about all you’d hear right now, were it not for this flag whipping outside the Post Office. 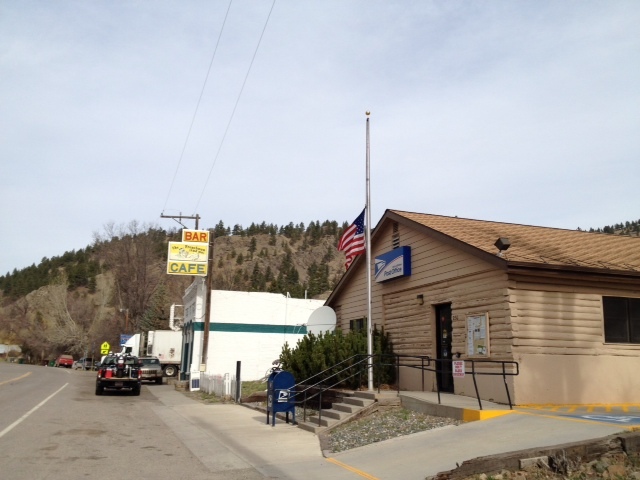 “It is the hub of this community,” said 30-year resident Bonnie Young of the Post Office. She’s a substitute Postal carrier here –on a route that has 200 stops and stretches for miles. She says locals need a reliable post office within a reasonable distance. “There are so many elderly people here that don’t have a computer…they have to come to the Post Office and they do,” she said. In a wide conference room at the Helena Airport there weren’t enough seats for all the people waiting to hear from Post Master General Patrick Donahoe. “He has never been to Montana before. This is his first visit to the state,” said U.S. Senator Max Baucus. 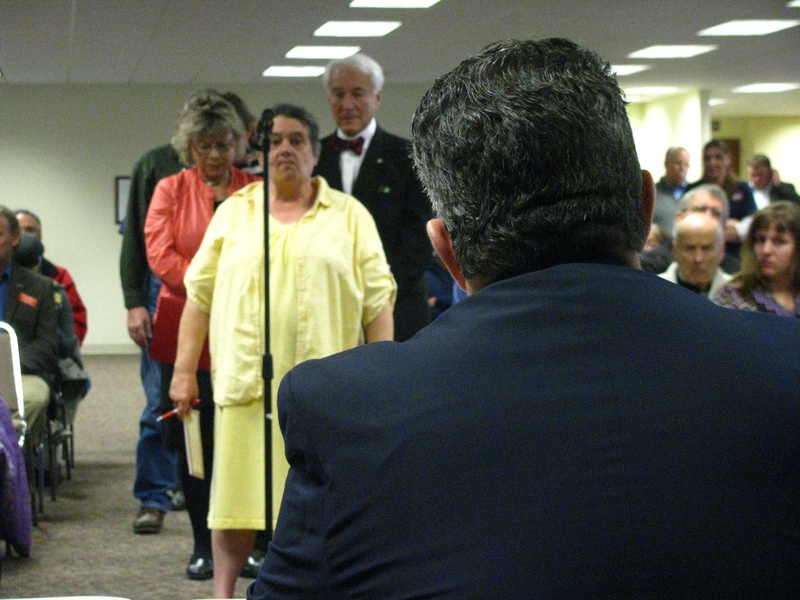 He pushed for the hearing with Donahoe. Afterwards the two would be heading off to visit a small Post Office in the eastern Montana town of Ingomar. “Unfortunately the weather’s halfway decent. I was hoping we’d have a snowstorm and we could take you over to Ingomar so you could get a real sense of what people in our state have to go through,” Baucus said. The people inside the conference room wasted no time in telling Post Master Donahoe exactly what they go through. Donahoe sat alone at a long white table. He listened to some who would have to drive an extra 10 or 20 miles to get to a post office if the local one closed. He heard from top state officials and post office employees worried about their jobs—their towns. Then a microphone was brought to over to an old man in an electric wheelchair, Francis M. Hill from Toston, Montana. He’s had two strokes and two heart attacks. He receives all his medication through his Post Office Box. He says this medication cannot freeze or it’s worthless. Without the local Post Office he’d have to travel to Townsend, 11 miles away. Post Master Donahoe says he hears these types of stories all across the country. He says the Postal Service is not making these cuts because it wants to. Stamps are the agencies most profitable product and sales are dropping at a rate of 10 percent a year. He says some of these Post Offices cost much more to operate than they bring in. 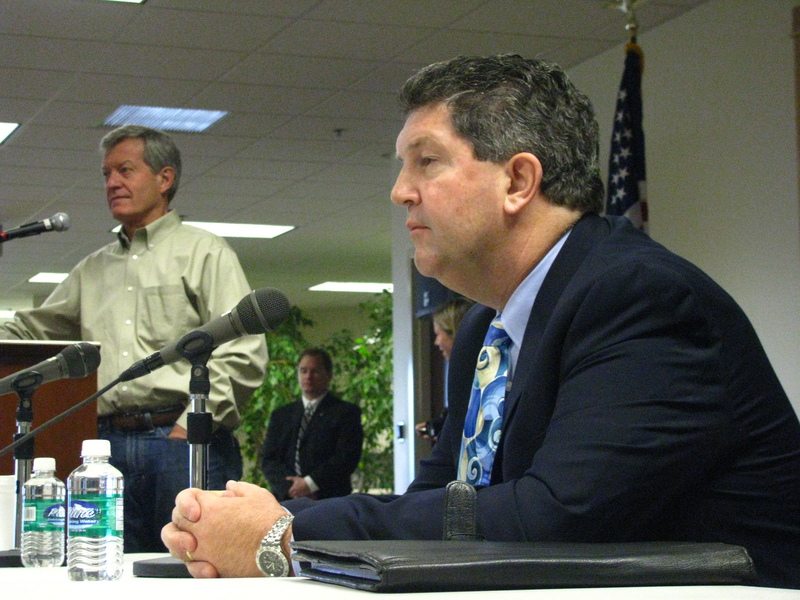 Cuts have to be made across the board, and Donahoe says they have to be made in a balanced way. “So you can’t go and say raise the prices 10 percent, mail will go away. You can’t say, ‘Cut employee wages 10 percent’, that wouldn’t be a fair thing to do. You can’t go a wantonly close Post Offices—you’d come up to a state like Montana and it’d be devastating. You we’ve got to figure out a way to get ourselves through this in a way that people stick with the Postal Service, it’s done fairly and that we’re strong coming out the other side,” he said, adding he’s looking at whatever he can to limit the closures That could mean dropping from 6 days of service to 5. He’s hearing across the nation people prefer that to the loss of infrastructure, like the local post office. Senator Baucus says Congress will discuss a Post Office bill next month. Bill sponsors have been looking into options that could keep many low-revenue post offices and processing centers open in rural areas. This would result in a 5 cent increase in the price of stamps.